The X3 M40i is raucous fun, but even the base powertrain is no slouch and can save thousands from the final price. Go long on the 2019 BMW X3. 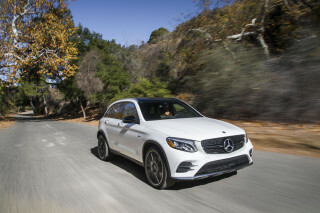 The new luxury compact crossover gains a lower cost, rear-wheel-drive entry model this year and will also serve as the jumping off point for an electrified crossover due sometime soon. Here and now, the X3 still delivers on our high expectations. The new rear-drive X3 sDrive30i joins the all-wheel-drive xDrive30i and M40i models. All versions sport a tall crossover look, generous amounts of glass that help outward vision, and a more expressive rear end. Inside, the X3 is understated but well-appointed, with handsome shades of leather and technology inside a bright, airy cabin. Under the hood, a turbo-4 or turbo-6 produce 248 or 335 horsepower in xDrive30i or M40i versions, respectively. Both engines are expressive and fun, with ample power for the X3. An 8-speed automatic is the only transmission available, and it’s good. We’ve driven only all-wheel-drive models so far, and have good things to say. We’ll report back once we’ve driven the rear-wheel-drive sDrive30i. The responsive and sharp ride equal the prowess of the powertrain, and the X3’s is agile and bright compared to rivals from Audi and Mercedes-Benz. We’d point to the newly standard automatic emergency braking this year as our favorite feature, but others may look to the long (and expensive) options list instead. The 2019 X3 starts around $43,000 but can crest $65,000 with mountains of power, tech, conveniences, or all of the above. Our nitpick is with the subscription-based Apple CarPlay add-on that we’re not fond of. BMW charges for its annual use. Skip it for many reasons, we say. Despite fewer driven wheels, the new sDrive30i isn’t much more frugal than the all-wheel-drive version. The X3 hovers around 25 mpg combined, which is average for its class. The 2019 BMW X3 crossover is clean and concise without being curt. One year removed from an overhaul, the 2019 BMW X3 should still be recognizable. That’s not to say that the third-generation crossover doesn’t look good—it’s just more of the same. Inside, the X3 has evolved more, and the cabin is cleaner and more tidy with tasteful accents. The new X3 burnishes the look from the older version with wider intakes, wheels pushed closer to the corners, and a lower look. Unlike its X4 counterpart, the X3 has tall glass that makes it look unique among compact crossovers’ diving rooflines, but pays dividends in outward vision. In the back, the rear glass and taillights are bigger for a better finish. Inside, the X3 sports attractive trim and upholstery shades without the visual fuss from other BMW models such as the 5-Series. The center stack is dominated by the infotainment display screen (6.5 inches standard, or 10.5 inches as an option) bracketed by metallic or wood trim. The driver’s gauge cluster can be replaced by another 12.3-inch display for even more screen time, but the net is less tech-heavy than Audi’s Virtual Cockpit. Executive packages can add chrome and an upholstered dash that runs away from the M40i’s sporty approach, if that’s your thing. 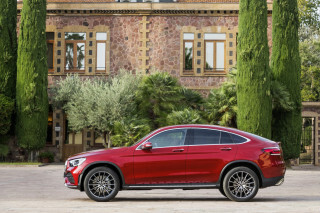 Superlative powertains help propel the 2019 X3 up our charts against rising competition. The news for 2019 is that the X3 is available with rear-wheel drive, which shaves $2,000 of the bottom line for sunny-state shoppers. We haven’t yet driven those versions, but we can’t imagine that it’ll spoil our already-good feelings for the X3’s powertrain lineup. 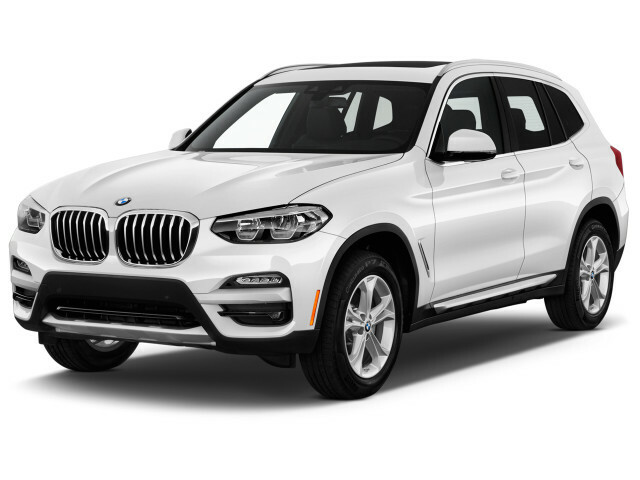 Starting with the base 2.0-liter turbo-4, the BMW X3 sDrive30i (or xDrive30i when equipped with all-wheel drive) makes 248 horsepower and 258 pound-feet of torque. It’s enough to slingshot the X3 up to 60 mph in less than six seconds—even with all-wheel drive. We’ve had plenty of experience with the turbo-4 in the X3—and in other BMW cars—and attest to its brilliance. It’s a very good base engine, perhaps the best in its class. The 8-speed automatic that’s standard in all X3s is geared toward low-speed, stop-and-go urban runarounds. 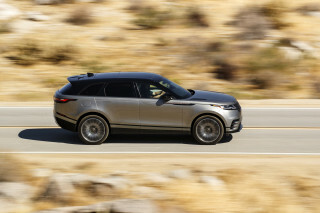 On the interstate, the 8-speed settles quickly with quick upshifts and telepathic downshifts for passing and climbs. Our only gripe: a hint of turbo lag after deep stabs at the gas pedal. There’s a remedy for that, and BMW calls it the X3 M40i. Fitted with a turbocharged inline-6, the M40i responds to the high-powered small ‘utes from Mercedes and Audi with 355 hp and 369 lb-ft of torque. It’s the first M-badged X3 and it doesn’t let the side down. Teamed with standard all-wheel drive and the 8-speed automatic, the M40i hustles up to 60 mph in 4.6 seconds en route to a 155 mph top speed. The standard sport exhaust raps an excited bleat, a little silliness for the ride home. BMW’s all-wheel-drive system in the X3 slightly prioritizes power to the rear (up to 100 percent, theoretically), although its tuning in the M40i is clearly more rear-biased. Even with 8 inches of ground clearance and 19.6 inches of fording ability, we’d still hesitate to scramble a shiny new X3 up a mountain trail, but the BMW is just as capable on paper compared to its contemporaries. It’s better left to the pavement, where it has the manners of a solid sedan. The X3 sports a double-pivot front strut suspension (a BMW hallmark) and a five-link independent rear. Adaptive shocks cycle between Eco, Comfort, and Sport modes, and in M40i, Sport+ with a stiffer setup. Steering the X3 is relatively heavy, even in Comfort mode, with considerable heft coming through the thin steering wheel. The X3 rides well on 19-inch wheels, or even 20-inchers, but engineers tell us nothing good comes from bigger wheels. Comfortable for four plus gear, the BMW X3 is built in America and it shows—it has plenty of space. The new X3 is roughly the same size as the old X3—a good thing. The relatively small luxury SUV is comfortable for four adults with plenty of cargo room, and the sport seats we’ve tested are good too. Front-seat riders get ample space for heads, shoulders, knees, and toes. The 40.3 inches of front seat leg room is made better with ample head room—even with the panoramic moon roof—power adjustable front seats, and plenty of storage cubbies. Rear seat riders get nearly the same treatment. Behind the front seats, BMW promises 36.4 inches of leg room and wide door cuts offer easy entry and exit to less-than-spry passengers. Three will fit across the back, although that’s best kept for shorter trips. Take the long way with two adults, and rear passengers can slightly recline the rear seats for naps. Six-footers will fit behind other six-footers easily, although the long track for seats up front can cramp a power forward in the rear seat if no one is paying attention (or is feeling impolite). The X3 doesn’t offer a third row, and we don’t want one anyhow—the X5 is better suited for that. Storage is where the X3 shines and it works well. Behind the second row there are 28.7 cubic feet of storage space, with rails for cargo management and even a shallow, hidden storage bin. Tumble down the rear seats (easily, we might add) and the X3 opens up to nearly 63 cubes of available space. There are plenty of storage bins in the doors and center console, and the available wireless cellphone charging mat is plus-sized for our toast-sized smartphones. Good news: The 2019 X3 can be fitted with most of the latest safety systems. Better news: The IIHS rates it a Top Safety Pick+. Federal testers haven’t yet ruined an X3 since it was redesigned last year. Officials from the IIHS have and reported good things. Other safety options include a $1,700 package that includes adaptive cruise control, active lane control, and driver assist features that can help reduce driver fatigue on long-distance drives or in stop-and-go traffic. That package requires a prerequisite $500 package that includes blind-spot monitors and lane-departure warnings. Without spending more, the X3 gets a standard complement of airbags and traction and stability control programs. The X3 also benefits from generally good outward vision. Other safety features include a surround-view camera system and parking sensors. No BMW is cheap, but the 2019 X3 can stay sane with a handful of options. Skip Apple CarPlay, or skip the X3. Base X3s get 18-inch wheels, a power liftgate, power adjustable front seats, synthetic leather upholstery, parking sensors, Bluetooth connectivity, a rearview camera, USB charging ports, and a 6.5-inch display for infotainment for $41,995, including destination. Want any color other than black or white? That’ll be $550 more, please. Interested in all-wheel drive? It’s $2,000 more. Leather? It’s $1,700. And so on, until you’ve reached nearly $66,000 like our X3 M40i tester that was equipped with nearly every option including leather hides, Harman Kardon premium audio, 20-inch wheels, wireless smartphone charging, adaptive suspension, a 10.3-inch touchscreen for infotainment, blind-spot monitors, active lane control, and blue metallic paint. A patient hand can keep the 2019 BMW X3 near $50,000 with navigation, all-wheel drive, premium paint, the larger touchscreen, 19-inch wheels, and leather—if that’s what you’re into. An M Sport package at $5,300 adds 19-inch wheels (or 20s for an additional $950), a sport-tuned suspension (with adaptive dampers for another $1,000), a panoramic roof, a soft-touch dash, aluminum interior or matte wood trim, LED headlights, satellite radio, gray exterior trim and aero add-ons, a sport steering wheel, and keyless entry. Its value is debatable, but will be a popular pick for many buyers. Apple CarPlay compatibility is also available, but we say skip it for several reasons. First, BMW offers the first year of Apple CarPlay compatibility free, but charges $80 per year thereafter. Third, BMW’s native infotainment system is powerful and can be used for a wide range of functions including navigation, making restaurant reservations, calendar notifications, even texting friends or family when the car is set to arrive. The 2019 BMW X3 is just as frugal as its competitors, to do any better would require a plug. 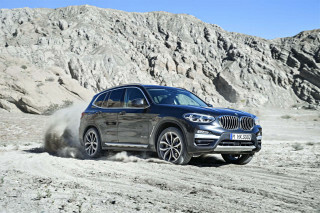 Sun-belters who don’t fret about snowy mornings or frequent downpours finally get a two-wheel-drive BMW X3 this year. It may save them money at the dealership but it may not do much at the pump. The EPA rates the new 2019 BMW X3 sDrive30i at 23 mpg city, 30 highway, 26 combined. That’s not a big jump over the all-wheel-drive version, which rates 22/29/25 mpg. The X3’s fuel economy fares well against its primary competitors from Audi and Mercedes-Benz. 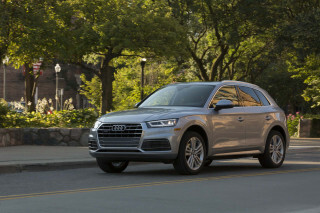 The Q5 and GLC-Class rate around 25 mpg combined in their most popular configurations. 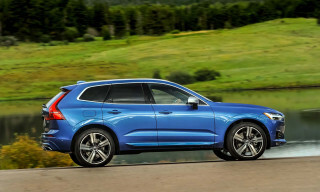 Only the plug-in hybrid Volvo XC60 T8 is more efficient when its fully charged. An electrified version of the X3 is reportedly in the works, but hasn’t yet arrived.